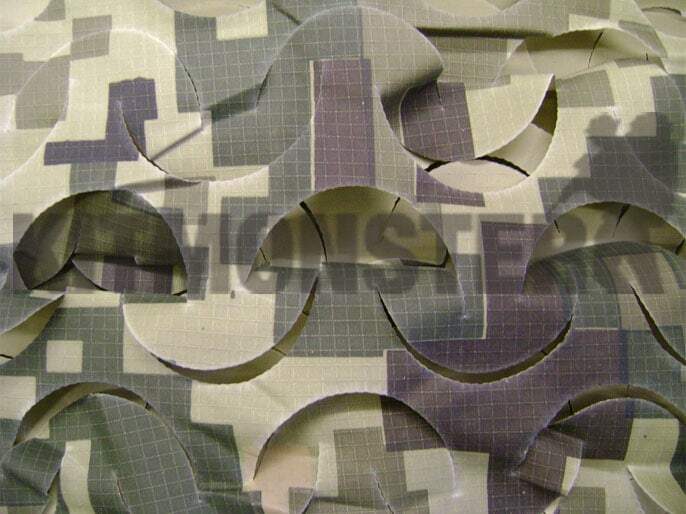 Digital Multicamo 'foliage' camouflage scrim section, suitable for Para Helmets, MKVI, MKVIA, MKVII, SFCT and Gen Tex helmets. 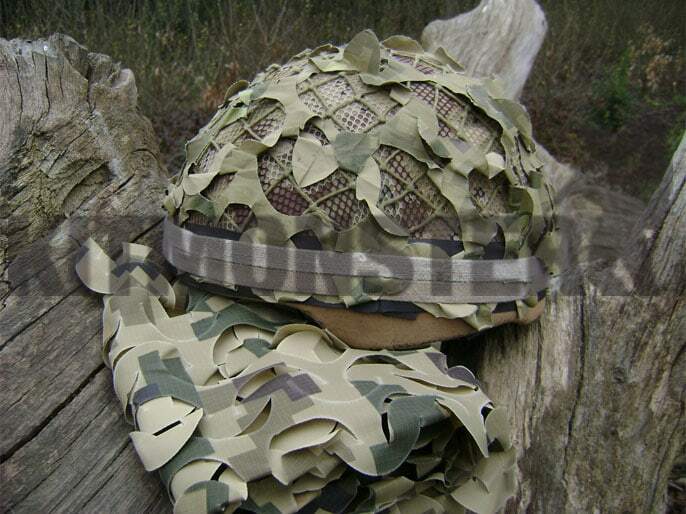 Shown here over MTP, but works equally well over plain or sprayed helmets and other camouflage patterns. Please note this is not an MTP item, but is shown over, and will work with, MTP. 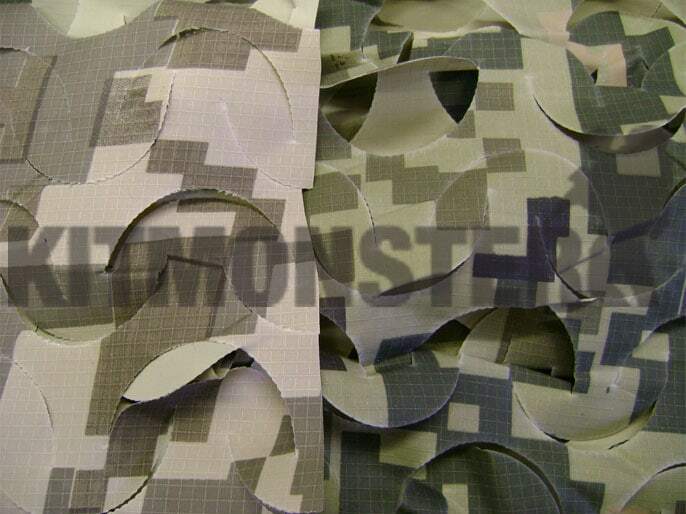 Single rectangular section of fabric 'foliage', similar to that used in the construction of issue cam' nets. Measuring approximately 58 x 48cm. This can be fitted to helmets as desired, in the users preferred configuration. 'Foliage' is in a lightweight nylon type material, this can be over sprayed if required and cut without fraying. 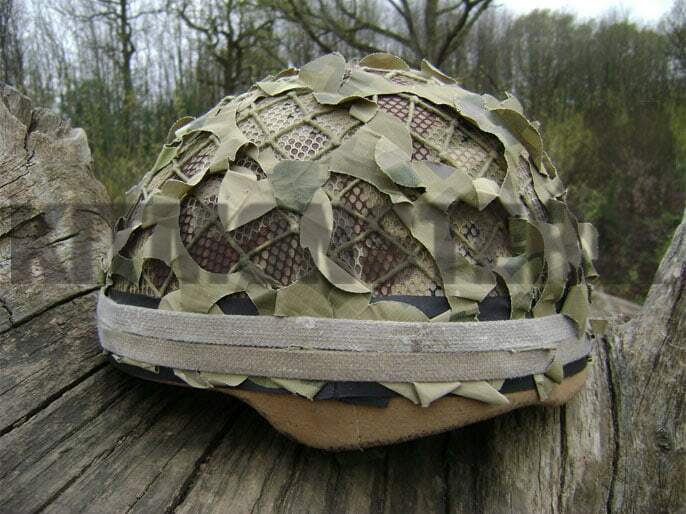 Photograph shows net fitted to UK issue MKVII helmet, with rubber band and Cats' Eyes band in place. Helmet, cover, and both bands shown for illustration only, none of these are included. Helmet has been 'dressed' with our Choc' Chip and Austrian nets under the 3D camo', these additional nets are not included. Final image shows Arid net (left) alongside the Multicamo colour (right) for comparison. MKVII Helmet loaned to us for the photo'.